India is slowly and steadily beefing up military capabilities along the Chinese border. As a part of its strategy to counter China, India has deployed additional Su-30 fighter aircraft, spy drones and missiles in the northeastern border areas. The Indian Army has also deployed tanks, mechanized units as well as artillery to some areas of Ladakh. 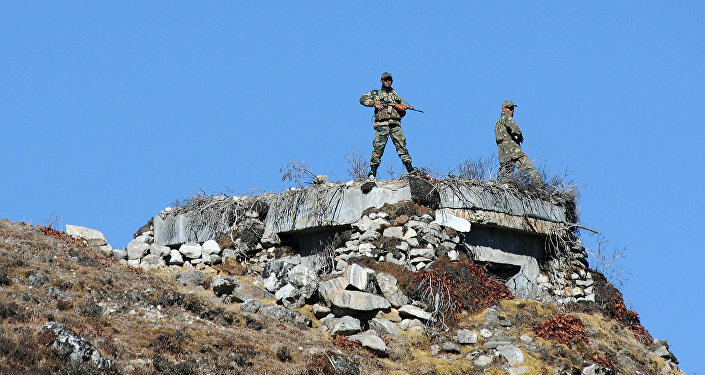 The military buildup along the Chinese border is to counter increasing incidents of alleged Chinese incursions in Ladakh and Arunachal Pradesh. Earlier, the Indian Army moved more than 100 T-72 tanks in Ladakh and Arunachal Pradesh to secure the most vulnerable sections of the Indo-China border. Apart from that the Indian Army is in the process of deploying six Akash surface-to-surface missile squadrons along the northeastern India-China border as a deterrent to Chinese jets. India has chalked out a detailed strategy to achieve credible deterrence against the Chinese military might all along the 4,075 km Line of Actual Control. The Cabinet Committee on Security Affairs has already cleared a regiment of BrahMos supersonic missiles for Arunachal Pradesh. To strengthen the air power the Pasighat Advanced Landing Grounds in Arunachal Pradesh will be inaugurated on August 19 in West Siang district of Arunachal Pradesh. The Pasighat ALG is capable of operating aircraft and helicopters and will allow fighter aircraft like the Su-30 to land and take off. It will be one of the operating bases under the Eastern Air Command. Activation of this Advanced Landing Ground will not only improve the Indian Air Force response time for various operational situations but also efficacy of the air operations in the eastern frontiers. The Advanced Landing Grounds was also activated earlier in Daulat Beg Oldi and Nyoma in Ladakh. Pasighat is the fifth Advanced Landing Ground to become operational in Arunachal Pradesh. Ziro, Along, Mechuka and Walong Advanced Landing Grounds are already operational. Advanced Landing Grounds in Tuting in Tawang will be ready by December 31 and April 30 next year respectively. The Indian Army had earlier raised two new infantry divisions of about 36,000 soldiers at Assam’s Likabali and Missamari to counter the Chinese military buildup. An all new Mountain Strike Corps of about 90,274 soldiers will be fully raised by 2021 which will be skilled in mountain warfare. India is gearing to counter China and its aggressive designs not only along the border but also in South Asia.